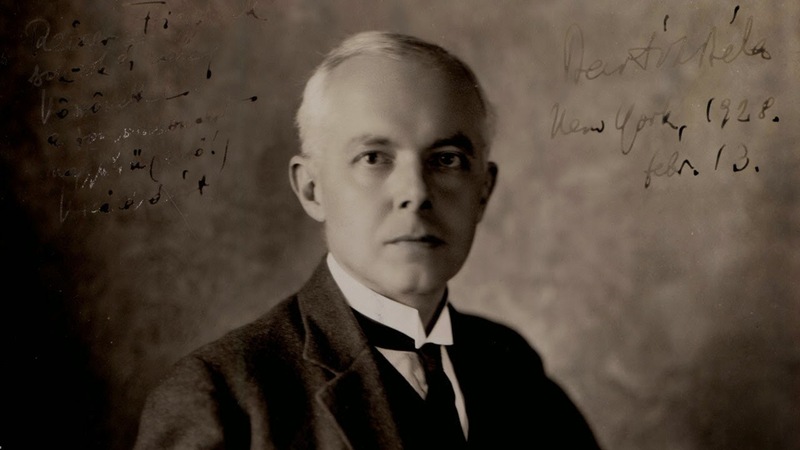 We seem to be awash in Bartók these days - with a great deal of attention suddenly lavished on his six quartets. Indeed, there's enough local performance of these dark little gems currently scheduled that you'd imagine it must be a centennial year for this composer, or at least some sort of anniversary. But you'd be wrong: it all just seems to be an intriguing alignment of the modernist stars. Not that I'm complaining. I'm happy to brush up on my Bartók, even if, as I've noted previously, he's hardly easy listening. Indeed, when the players of the Takács Quartet (violinists Edward Dusinberre and Károly Schranz, violist Geraldine Walther, and cellist András Fejér, above) paused to unconsciously wipe their brows in the middle of their recent Celebrity Series concert, I had to sympathize - I felt as if I'd been working almost as hard as they had, mentally, just keeping up. And there was something about that honest whew! moment that spoke to the specific character of this quartet - and their calm commitment to care, economy, and craft. In a way the the strings of the Takács cut against the grain of this highly-strung composer; for whenever Bartók gets a little hysterical, the Takács remain unruffled - they're sympathetic but objective about the disaster that seems to loom just beyond his trembling treble clef. Indeed, they're all about balancing the fraught emotion of these pieces with their intricacy, and sense of conceptual exploration. And given their own Hungarian heritage, they have an almost off-hand ease with the folk inflections that give such piquant color to this composer's modernist manner. 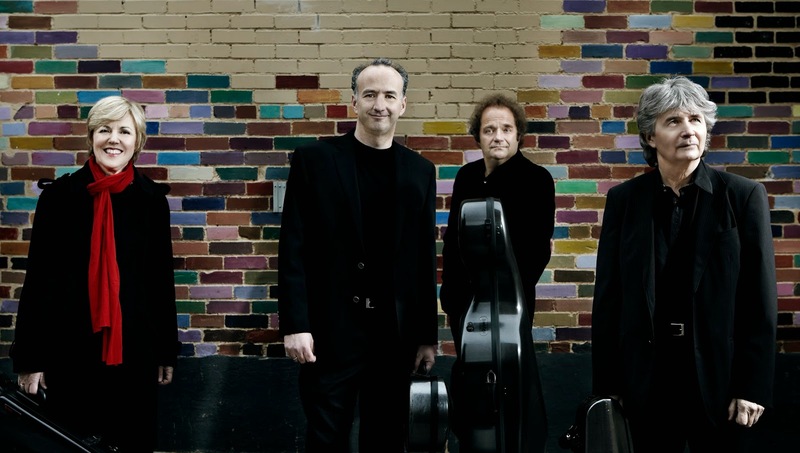 Which may be what continues to persuade me - with apologies to the other estimable talents taking up these musical challenges this season - that the Takács may be the gold standard in Bartók quartet performance. I admit this may be partly due to personal prejudice: I like structure, and I enjoy hearing it illuminated. Which may also explain why I'm warmer to the "evens" of the six Bartók quartets (2, 4 & 6, played in this performance) than the "odds" - which the Takács essayed a few weeks ago: their structure is challenging, yes, but more accessible than the almost-too-swift-to-perceive permutations of, say, Quartet No. 3. The man in the mirror: the composer in 1928, a year after completing Quartet No. 4. Indeed, you might argue that some of the "evens" are engaged in a subtle dialogue with their nearest "odd." Certainly No. 2 feels like a meditative response to No. 1 - cleaner, clearer, and less densely contrapuntal, and somehow more accepting of the frustrated romantic energy that animates this composer's first effort in the form. Appropriately enough, the Takács drew a haunting mood from its mournful stretches, while still teasing a new sense of argumentative unease from the brooding final movement. They brought a richer, more autumnal palette to bear on the conceptually ambitious No. 4, whose "outer" movements build a palindromic arch around a central episode of exquisitely drifting mystery. Indeed, the piece seems to operate almost as a statement of self-assessment - a kind of calm look in the mirror (as above), with more anxious modes - a scampering Prestissimo, a dancing Allegro pizzicato tinged with gypsy - framing a fundamental uncertainty. Here the quartet did full justice to the misty core of the work, and in its jauntier stretches turned the forceful "Bartók pizzicato" into an angry thwack! ; they also gave the slashing cries of the final movement a searing edge; overall, this was their most remarkable playing of the evening. If the closing performance of No. 6 felt inevitably like a bit of an anti-climax - well, this may be built into the texture of the work itself, which boasts this composer's most exploratory structure yet. A single theme is repeatedly taken up by one member of the quartet in each movement, then is teased into contrasting forms (a whimsical march, another lustily plucked dance) over its intriguing course. The final meditation on this melody, however, is among Bartók's gravest statements - literally; his "eternal" theme loses loft and comes to rest, then seems to move beyond acceptance toward literal death (Bartók learned of his mother's passing during the composition of this piece, and immediately darkened its closing cadence). Again, the Takács made this devastating journey with little melodramatic fuss. But they refused an encore, despite the pleas of the adoring crowd; for after all, they had just conjured a sense of that end from which there can be no returning.